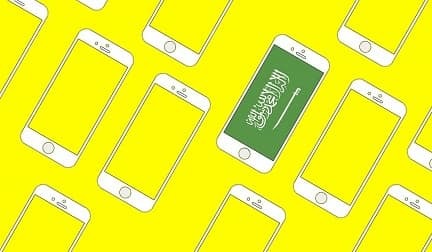 Saudi Arabia is on the top of all countries with highest number of Snapchat application users, as per the latest statistics report 8.2 million Saudi people use Snapchat daily. Two cities of Saudi Arabia, Riyadh and Jeddah are among the cities with the highest number of Snapchat daily users, The report also revealed that most of the users are in age between 13 to 35 years. - Eighty five percent (85%) of the Snapchat users are aged between 13 years to 35 years, Increase of using smartphone applications alerted traffic regulation to issue a new regulation on it. - Saudi Arabia's Ministry of Interior issued a new traffic regulation to detain violators for 24 hours if caught using mobile phone while driving in the Kingdom. - According to Sabq local news, Snapchat is associated with several cases of divorce, blackmailing and traffic accidents. The main cause of deadly accidents in Saudi Arabia are due to use of cell phones while driving.